This went mostly as planned except for the window that is the most “not so tall” of all. 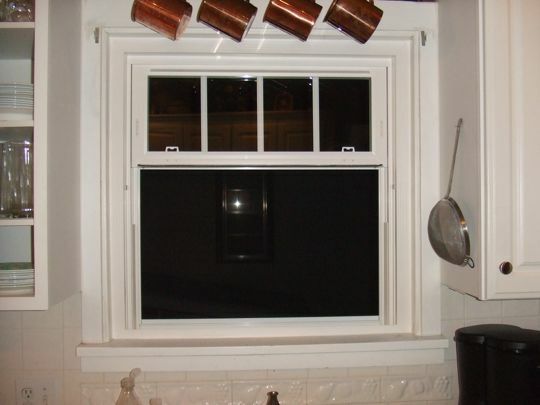 The window over the kitchen sink is square, and so the upper pane was only something like 3 inches high. Not such a good look, and it made it nearly impossible for me to crawl out of that window in the event of a fire. The company that did our windows (which I would not hesitate to recommend if you are in need of new windows and are in the Lincoln area) just ordered up a new set of panes for us, and they arrived today. They would have been more than happy to drive out and put them in for us, but I suggested that I could just pick them up and they could show me how to put them in. That was fine with them, and gave me something to write about. Clearly a win-win solution. 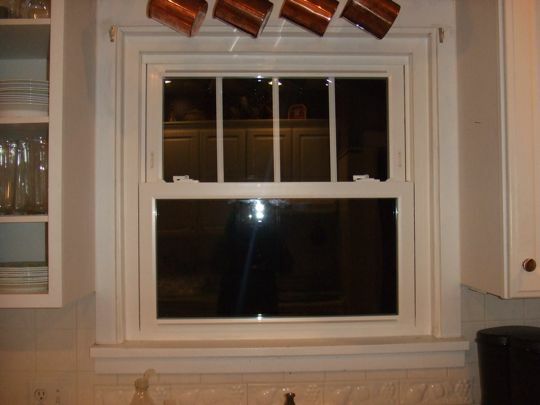 Be careful about taking pictures of your kitchen window. Your neighbor’s bathroom is right across from there. I almost got in trouble once for taking a picture of some plants. The neighbor saw the flash. My comment is stuck in moderation because I put a link in it. You can delete this after rescuing my comment, or leave it here to make this post look like it has more comments. 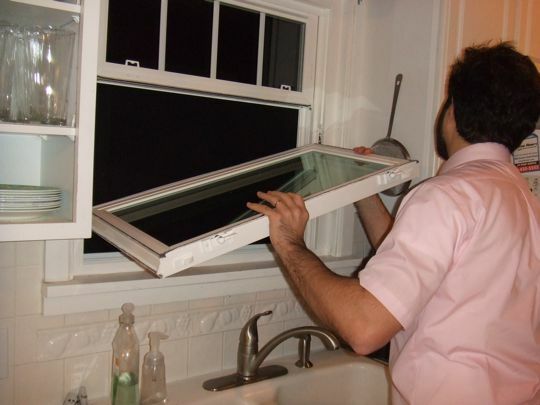 By the way, I wasn’t at all nervous when Lloyd was pounding on the window to get it in the fittings. I just kept silently repeating, “When you call 911, they’ll want to know where we are,” and trying to remember our address. 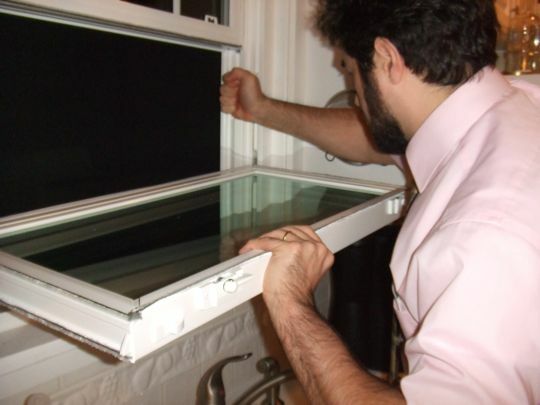 Wouldn’t a smaller lower window make it more impossible to climb out of in the event of a fire? That’s what I thought before the first fire. It turns out that you can only raise the lower window as far as there is upper window to raise it into. You get the biggest opening with windows that are of equal size. The 1st fire?!?! You’re just kidding, right? If you are right there by the sink, couldn’t you just put the fire out?